Working with Marek Hosek of MH Dezign on Art for Haiti this year, we came up with a dual sided art book. The book is 30 pages, 13x19 with a hand painted canvas cover. Vision Graphics printed the inside pages and the book was hand bound by United Bindery, Chicago. 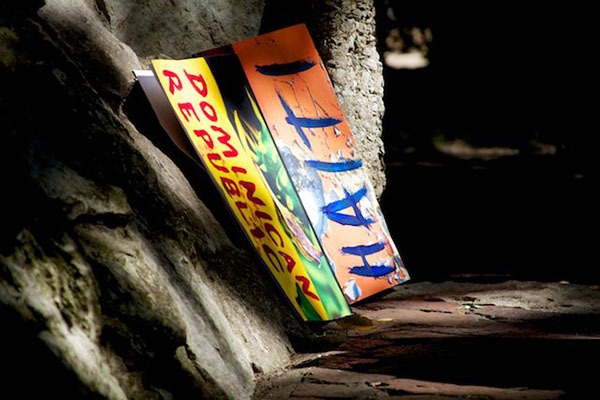 The photographs of Haiti were shot by Brian Wetzstein and the Dominican Republic side was shot by Marek Hosek. The books were sold at the Art for Haiti Benefit 2012.